I will post a theme and anyone who wants to participate creates an icon going along with that theme. Each round will last a few days and after the deadline I will post the pics in a pick and the pics will be voted on. The winner will receive 3 props. For the first 2 rounds, everyone who participates will receive 1 prop. I will also participate, however, if I win I will not receive any props-everyone who participated in that round will get 3 props instead. ~You can only submit icons you made. No stealing. 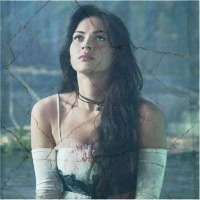 Create an icon of Megan Fox from your favorite movie of hers. Here's mine. From Jennifer's Body. Create an icon of Megan Fox in either of the Transformers movies.